Bethany Church in York: Concert on Sunday, October 18 during worship at 10:00 a.m.
Concert on Sunday, October 18 during worship at 10:00 a.m. 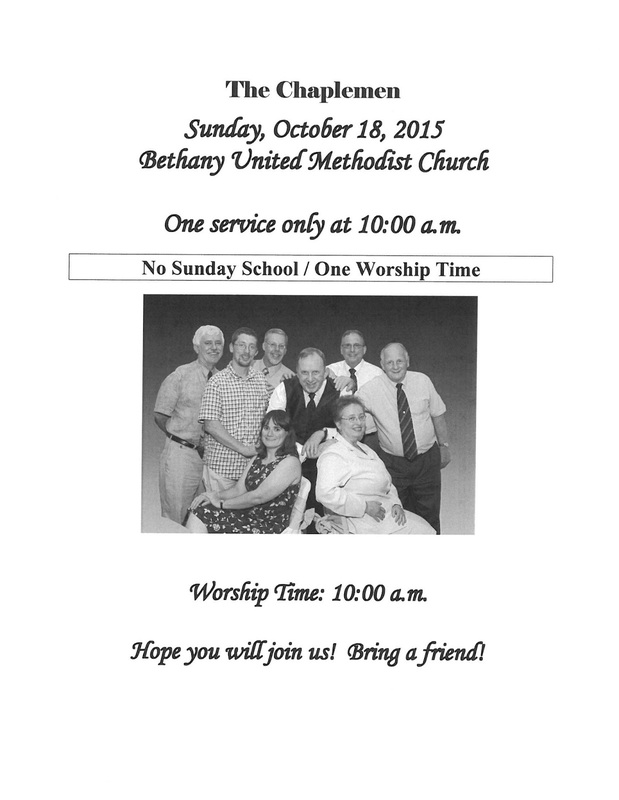 There will be one worship service on Sunday, October 18 at 10:00 a.m. There will be no Sunday School and only one worship service. Everyone is invited. No admission . . . a love offering will be collected for the Chaplemen! The Chapelmen Quartet is a music ministry that proclaims the exciting, good news of Jesus Christ through song and the spoken word. The Quartet, which is based in Red Lion, Pennsylvania, has been actively ministering in the Central Pennsylvania area for the past 32 years.